I am part of the GPS generation. I have surrendered my sense of direction to the magic little box that talks. Remember the GPS V from Garmin? Black and white screen, didn't talk. That was what? 20 years ago? GPSs have come a long way since then. I have tried several brands, and my cars usually have one. I really like Google Maps, but I prefer to save my phone battery for other things, like, you know, talking. From all the brands I have tried, I always end up coming back to Garmin. Well made, easy to use, and they have tons of features. Garmin has an RV specific GPS that has a directory of RV service stops, and you can program your RV height so it will steer you away from overpasses that are shorter. I like that. 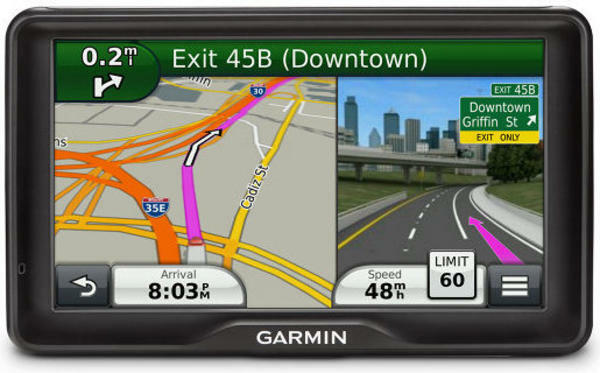 So we picked up a Garmin 760LMT GPS. We shall put it to the test this weekend.